As of 2017 MVM has started fabrication and assembly of new generation ticket machines for Parkeon Transit Ltd. These ticket machines will be installed in railway stations in the north of the united kingdom. MVM have been working with Parkeon over the past 18 months designing and developing both Cashless and Cash versions of a modern new style of machine providing a better user experience, offering a wide range of payment options. 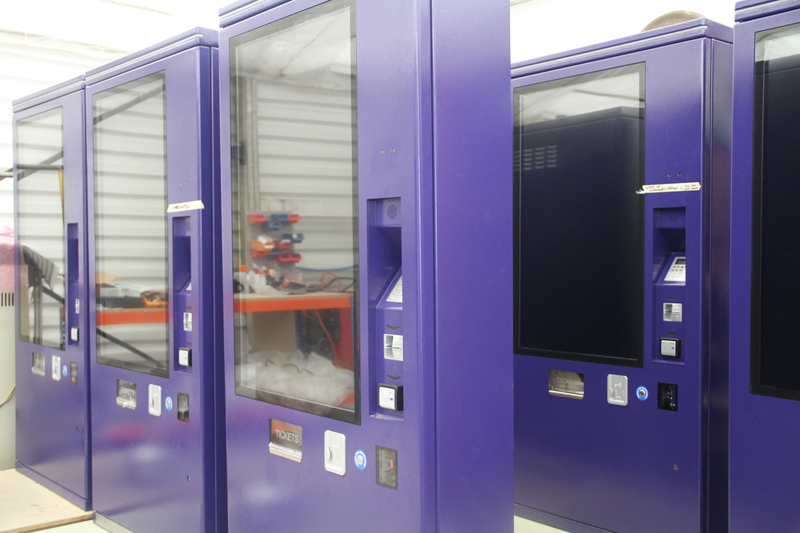 The machines are built in MVM’s factory in Poole, where they are also tested and commissioned before being packed ready for collection to their nominated installation site. The machines are being very well received, both in the UK and abroad, gaining a lot of positive interest from other customers looking also to update at some point. The machines are designed for both internal and external use having been through extensive trials to withstand the different external environmental conditions that they will be exposed to on Railway Platforms. They are finished with a durable anti graffiti textured paint for long term protection achieved through treating with an E coating process, a method used by car manufacturers that uses an electrical current to deposit the paint providing excellent corrosion resistance, paint displacement and adhesion. 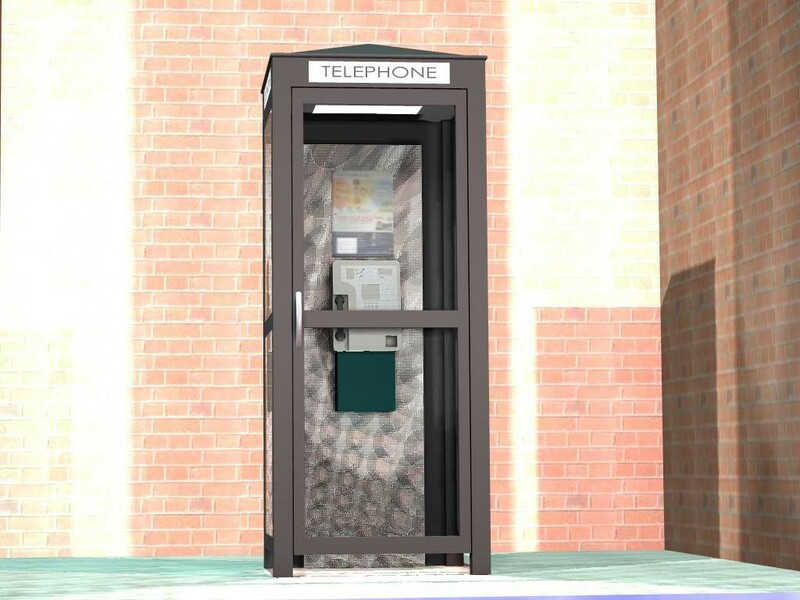 Our client had taken over a competing telephone company and our brief was to replace their phone boxes with a modern, low maintenance kiosk. 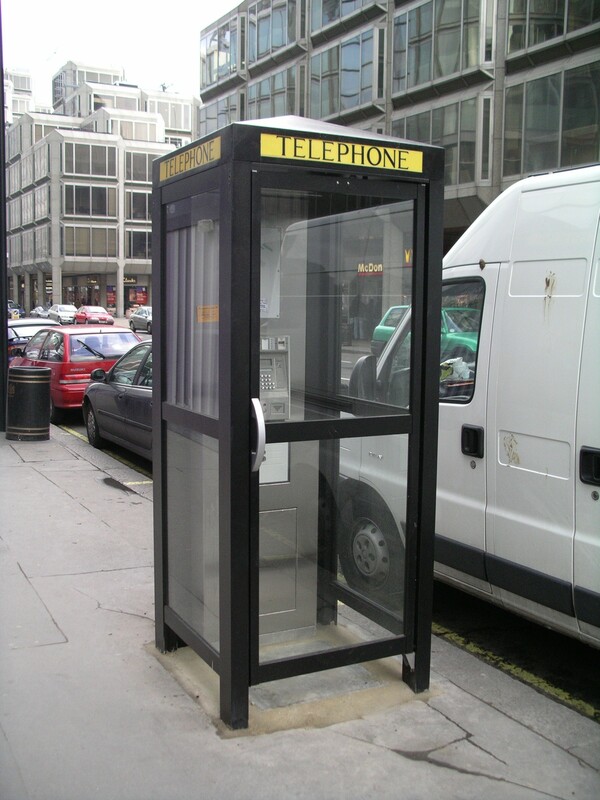 MVM has many years of experience in the design, development and manufacture of telephone kiosks for various clients including BT. 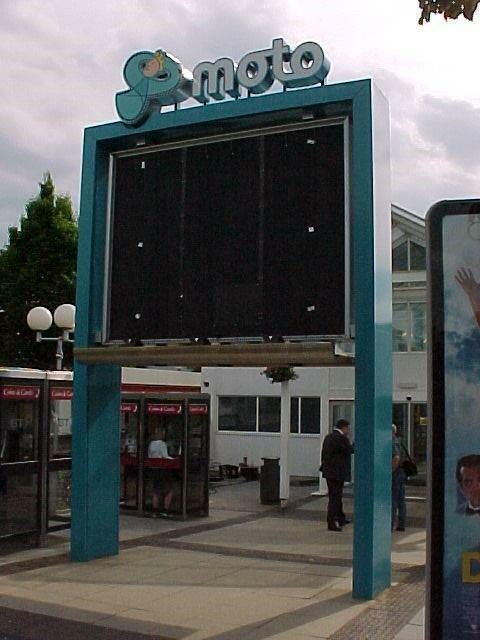 Hence MVM were an obvious choice of contractor to work with Spectrum and develop the new kiosk. Initially we produced a number of different concepts for Spectrum to discuss the merits of each one. Ultimately the choice was narrowed down to one kiosk and the approval was given to detail design, manufacture and eventually install and maintain over six hundred new kiosks. 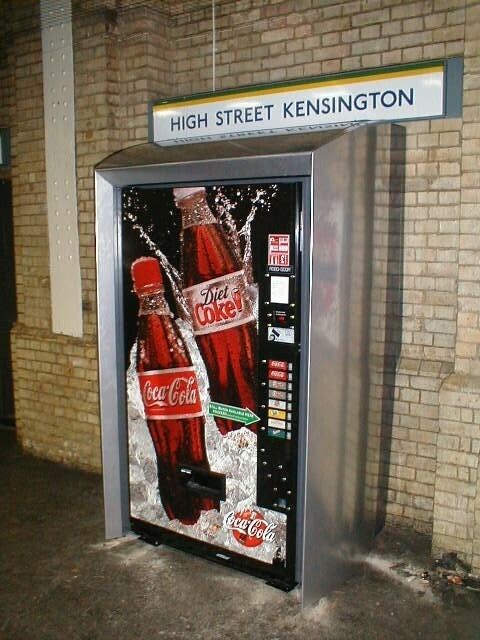 At the peak of the project we installed up to thirty kiosks per week at various locations in London. This required liaising with our client and the various local authorities to ensure the smooth running of the project. 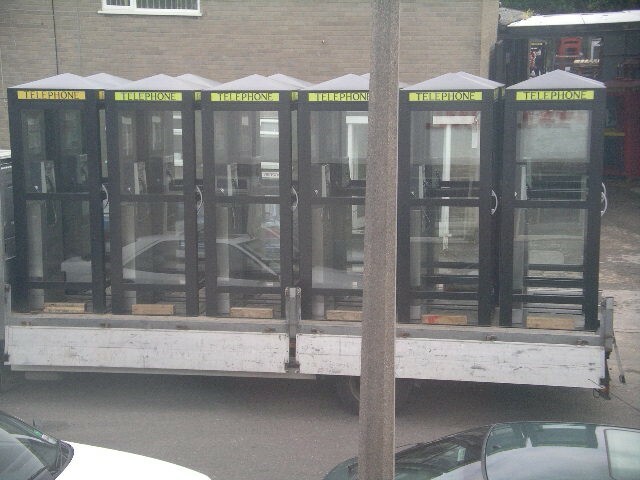 Meanwhile a dedicated production team managed the production of the kiosks to keep a constant flow of finished kiosks ready for the installations. Once the kiosks were installed our client extended their maintenance contract with MVM to ensure the kiosks are always in operation. 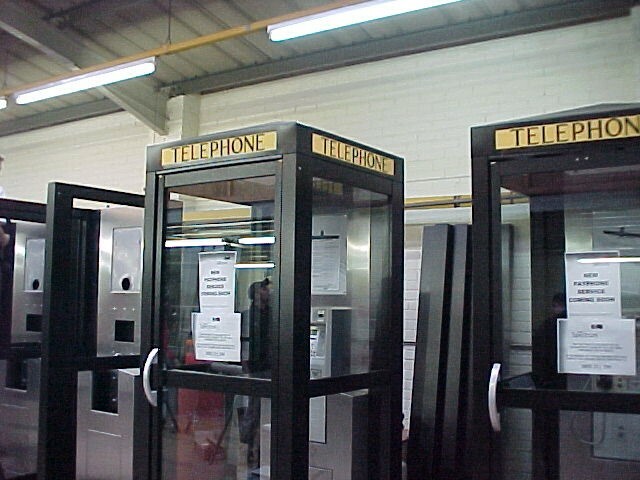 Designed, manufactured and installed by MVM for BT payphones at Moto service stations. The impressive structure is approximately 5 meters in diameter and 3 meters high (although we can design smaller/larger versions). It is fabricated using steel supports, aluminium composite roof and toughened glass sides. The structure is secured to the ground via substantial reinforced concrete foundations which are necessary for gale force wind loading conditions. To complete the housing illuminated displays are positioned sixty degrees part around the circumference with a central light box positioned above the roof. It took approximately two weeks to lay the foundations and a further two weeks to assemble and install the complete structure. The completed structures can be seen at the Leigh Delamere and Cherwell valley Moto service stations. 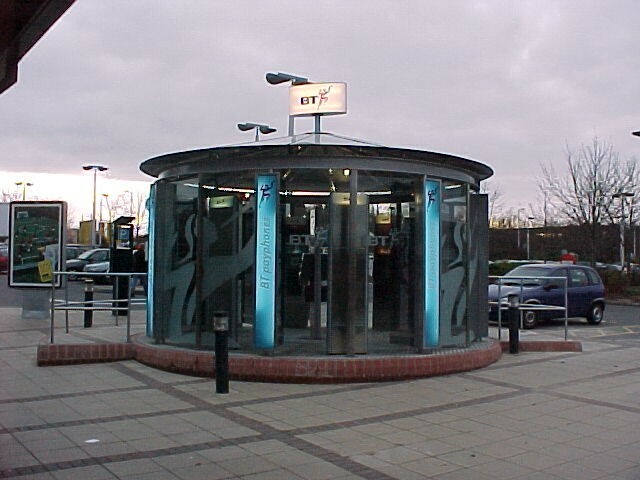 MVM were involved in the design, manufacture and installations of re-branding structures and ‘information points’ for MOTO service stations. Closely working with the client, MVM developed the initial concepts and produced detail drawings of both the re-branding structures and information points. After receiving client approval, MVM went into production and conducted nationwide site surveys to ensure the installations went as smoothly as possible. The requirement was to design, manufacture and install twenty five ‘goal posts’ nationwide at different MOTO services in four weeks. Accurate planning and communications were vital in the success of this project as clearly we had no time to waste. Before starting with the on-site installations, the MVM team assembled one structure at MVM to test their theory of the best assembly procedure and to ensure everyone in the team was fully conversant with the structure. The last structure went in, as planned, on the final day of the four week program. The installations could only take place at night time between the hours of midnight to 4.00am when the underground network was suspended. This left us with a maximum of four hours to carry the housings to the platform, complete the installations and leave the station! Obviously the housings had to be quick and easy to assemble, while being of a robust construction to withstand the relatively harsh environment. They also had to conform to The London Underground fire regulations. Working with our client, MVM designed and developed a range of modular housings that could be used on a range of Coca-Cola and Cadburys housings and gained approval for the installations. In preparation, the installation team undertook fire training courses at the London Underground and test built housings at MVM to ensure each installation would take less than four hours. When the first installation took place we were very well prepared and successfully installed the first housing inside the four hours’ time limit. Ultimately we installed over fifty security housings on the London Underground. The UK’s Department of Energy and Climatic Change funded the development of a Enthalpy Recovery Ventilation System. With the pressure Countries to do more to reduce the effect of climate change linked to carbon emissions the need to have energy efficient homes we worked with a team to design energy efficient home heating and ventilation system for use in new and refurbished homes. As well as using heat recovery the requirement is also to use moisture to ensure good quality healthy air is supplied into buildings, whilst making maximum use of the waste. 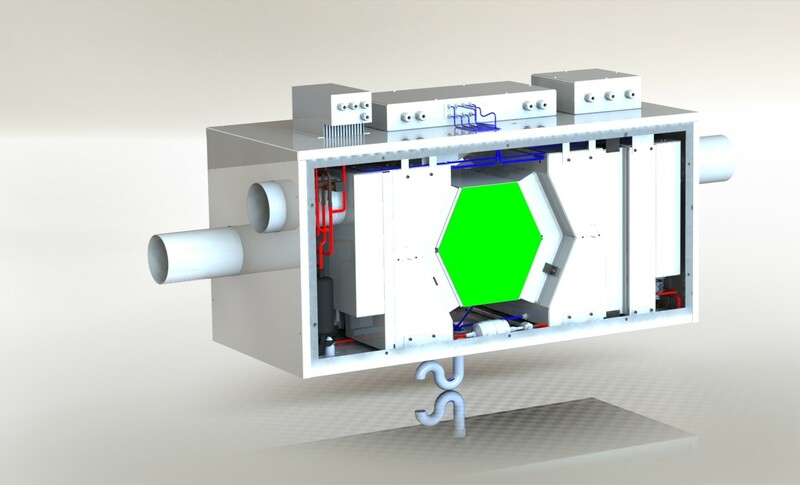 Initial designs led to a concept unit which confirmed that a much higher COP (Coefficient of Performance) can be achieved over existing HRV systems. 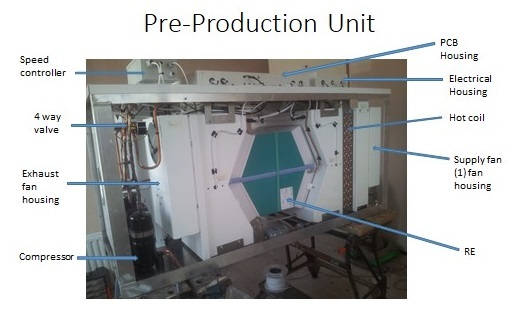 Further modelling was carried out as shown here which led to a pre-production prototype that would be installed in an ‘Passive’ House to verify the performance prior to making production ready. 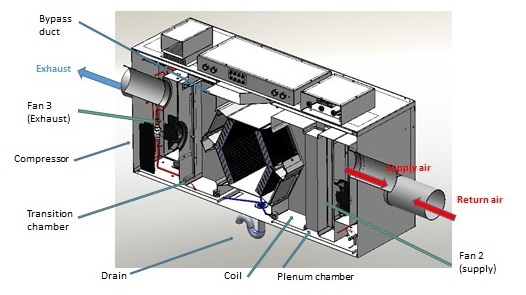 Using a newly patented reverse‐flow enthalpy exchanger in combination with heat pump technology, the ERV system will (a) be over twice as efficient as current leading technology in this area, (b) control indoor humidity as well as temperature, (c) be capable of coping with all external conditions from damp maritime to cold/ dry to hot/humid and hot/dry climates. ISO9001 certification system which is regularly assessed by an independent 3rd party UKAS certified body.